Please note that the Department of Africology has undergone a name change and is now the Department of African and African Diaspora Studies. To prepare for an African and African Diaspora Studies major, you must take core courses that establish a knowledge-based foundation that will help you choose between the two major options: Option A (Political Economy) or Option B (Culture and Society). All majors must be accepted by the Department of African and African Diaspora Studies, and their programs arranged with a departmental advisor, located in Mitchell Hall 225. Students must maintain a GPA of 2.000 or better in all African and African Diaspora Studies (Africol) courses in the major, including any transfer work. A total of 36 credits must be taken to complete the major. No more than 6 credits of 100-level courses can count towards the major. A course level is defined normally by how much work is involved in the course and what is expected of students. Courses at the 100-level usually are introductory courses; 200-300 level courses are generally for sophomores and juniors; 400 through 600 level usually are junior and senior courses, with 700 and above being graduate-level courses. 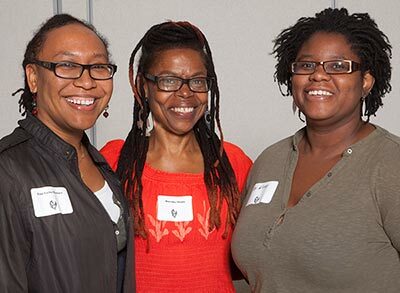 The curriculum for a major in African and African Diaspora Studies offers two options at UW-Milwaukee. Called Options A and B, they offer emphasis on Political Economy or on Culture and Society, respectively. Option A and B courses are listed in the UWM Undergraduate Catalog and on Degree Requirements pages on this website. At least 24 credits are required; six may be taken from Option B, and at least 15 must be taken at or above the 300-level. See Option A Major/Degree Requirements for an outline of required and elective course. At least 24 credits are required; six may be taken from Option A, and at least 15 must be taken at or above the 300-level. See Option B Major/Degree Requirements for an outline of required and elective courses. Also, see the Sample Four-Year Plan. We recommend you speak with your College of Letters and Science Advisor and/or the African and African Diaspora Studies Undergraduate Advisor whenever you have concerns or questions about your education. Meet with us in-person, over the phone, or via Skype to learn more about the African & African Diaspora Studies program. We can even arrange a class visit to give you a taste of UWM life. Please contact African & African Diaspora Studies directly for questions unrelated to admissions.